While most companies are likely to select several mediums to advertise through, using promotional products, or point of sale items, are the only advertising medium that is capable of engaging all five human senses. Various advertising mediums typically allow for viewers to see and/or hear the advertising, but they simply cannot appeal to all five on the senses the way that promotional products can. This matters because promotional products are the only advertising medium than can truly turn a standard advertisement into a marketing experience. Appealing to all five senses can maximize the success of your advertising because it increases your ability to appeal to your customers’ emotions. Here’s how promotional products allow you to engage all five of humans’ senses. Many advertising forms stimulate the sense of sight. It’s obvious that sight is a powerful and important tool. However, many individuals have learned to tune out advertisements on websites or in magazines and just pay attention to the information that appeals to them. Almost any advertising method that isn’t reliant on sound alone, (such as radio ads,) incorporates the aspect of sight. What sets promotional products apart from other visual ads is their ability to be multi-dimensional and take the form of unique shapes. Selecting one shape over another is a factor that decides if individuals will want to use your product or not. Strategizing what will engage your audience is not even an option with the majority of advertising mediums that do not allow the complexity that multi-dimensional products allow. Plus- promotional products allow for your customers to see your logo every time they use them, which keeps your company constantly in those customers’ minds. After sight, sound is the second most utilized sense for advertising. Some advertising methods are presented through audio, (such as on the radio,) but many people tune it out because it is disrupting what they actually care about hearing. Many individuals change the radio station when commercials come on, or they fast-forward through commercials on television. What sets promotional products apart from other advertising methods catered to our sense of sound is their ability to produce sound that customers want to hear. Instead of an audio advertisement, promotional products that allow customers to engage in their sense of sound can take the form of speakers, headphones, or Bluetooth speakers. Better yet, your customers get to associate the things they want to listen to with your brand every single time they use one of your products. Another one of our senses that are rarely experienced through other advertising methods, (unless you count being able to feel newspaper and magazine pages,) is our sense of touch. Our ability to touch and feel textures create a whole new dimension of connection that simply seeing or hearing cannot create on its own. 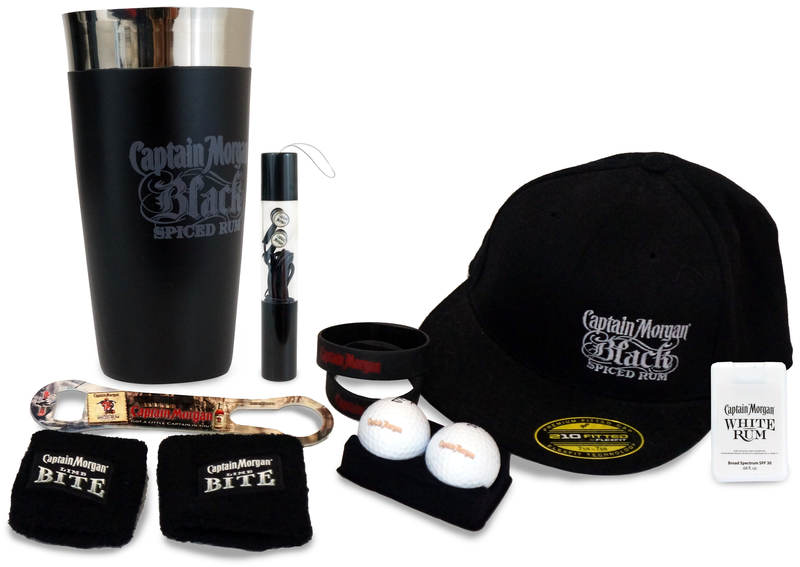 Promotional products are tangible items that we can hold, feel, and use. Customers can physically hold an item with your logo on it, which is not possible to do with something such as a commercial. Aspects such as the texture selected can result in different levels of engagement from potential customers. Furthermore, if you have your company’s brand printed onto items that are useful tools for customers to use, then they can associate an item that is useful to them with your company being useful to them as well. Every time a customer holds one of your products they will be reminded of your company because promotional products are tangible advertisements that individuals can physically keep. Yet another sense of ours that cannot typically be engaged with the majority of advertising mediums is our sense of smell. There are only very specific company types that have the ability to tap into smell for advertising. For example, if your company sells perfume, then you can advertise with a fragrance flap in a magazine. Otherwise, chances are, your advertising medium is not utilizing the sense of smell. One of the great things about promotional products is that you can either have an item that has a scent to it, or you can have an item that is associated with scents. What this means is that you can engage with your customers’ senses of smell with products such as scented candles that give off an enjoyable aroma. It also means that you can tap into the sense of smell with products such as mugs, because it allows for your logo to be on an item that individuals would be using when they make coffee to start their day. This is a way to engage customers’ sense of smell by association. Or you can even have your brand on a coffee maker itself! Our sense of smell is a powerful tool to use because it has the ability to cause humans to recall emotions or memories every time they smell the same scent. Using a pleasant fragrance even has the ability to improve our moods. Having your company’s brand associated with those pleasant smells helps create positive feelings towards your company. The final one of our senses is one that simply cannot be achieved through any other advertising medium. Our sense of taste can only be engaged with promotional products. While most people do not normally think of food or beverage items as advertising, they are absolutely marketing tools that companies can utilize. Yet another thing that sets promotional products apart from other advertising mediums is the fact that potential clients simply cannot get the memorable experience that edible items provide. When consumers enjoy food and beverage items, they will associate their feelings of satisfaction and enjoyment with your brand. Many companies only implement food related items as gifts during holiday seasons, which means they are missing out on all of the other methods they can use to activate consumers’ sense of taste. Treats do not need to be limited to holiday gift baskets. For example, having treats with your brand on the packaging can be used at events and tradeshows year-round. As an added bonus, similarly to activating consumers’ sense of smell, putting your brand on items simply related to consuming food can still trigger a positive association with your brand producing satisfaction in their minds. Now that you have all of this in mind, you can create a plan implementing promotional products that appeal to all five senses and increase your appeal to customers’ emotions. The goal is to utilize products that evoke consumers’ memories through their senses. Strategically appealing to the five senses can truly set your brand apart from the competition. The more engaging your products are, the more consumers are connecting with the product which generates a more positive and long-lasting impression. Promotional products and point of sale items act as the only advertising method that can create a marketing experience with maximum potential. Our team at MRL can help you get creative and find products that allow your company to exploit the advantages of appealing to all five human senses. Ready to create an experience for YOUR potential customers? Contact one of our team members at MRL and let us help you make products for your company that make the most sense.